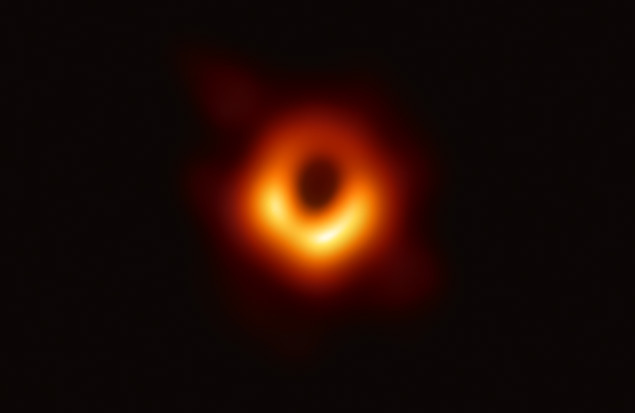 John Wardle, Professor of Astrophysics and the Head of the Division of Science, has been playing an integral role in bringing the first-ever image of a black hole to realization. Announced today, the image of the M87 black hole is being hailed as a major scientific breakthrough. Wardle serves on four of the Event Horizon Telescope’s 23 working groups, helps analyze the polarization of the M87 black hole’s radio emissions, and serves on the publication working group. This announcement was made in a series of six papers published in a special issue of The Astrophysical Journal Letters. Brandeis University will be hosting the 2019 New England SACNAS Regional Meeting on Saturday, March 23, 2019 from 9am-5pm. SACNAS is an inclusive organization dedicated to fostering the success of Chicanos/Hispanics and Native Americans, from college students to professionals, in attaining advanced degrees, careers, and positions of leadership in STEM. More information about this event is available at the Brandeis SACNAS site. Dr. Tepring Piquado, a Policy Researcher at RAND Corporation and Brandeis alum and Dr. Marcelle Soares-Santos, the Landsman Assistant Professor at Brandeis, will be keynote speakers. More information about the speakers and the Career and Professional development workshops and panel discussions are available as well. This meeting is FREE, but all attendees must register by February 22, 2019. The 2018 Eisenbud Lectures in Mathematics and Physics will be held from November 13-15 at Brandeis University. 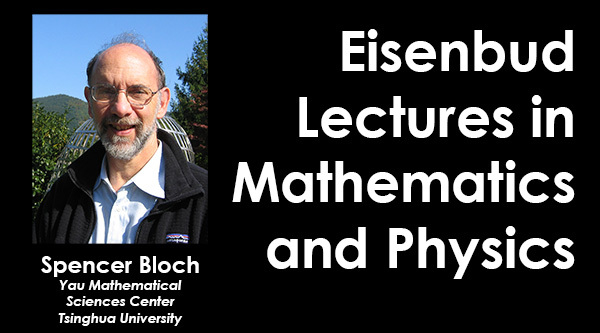 This years speaker is Spencer Bloch, Professor of Mathematics at the Yau Mathematical Sciences Center at Tsinghua University, and Emeritus Professor of Mathematics at the University of Chicago. Tuesday, November 13 at 4pm: “Multiple Zeta Values and Mixed Tate Motives over ℤ” (intended for a general audience) Location: Abelson 131. Wednesday, November 14 at 4pm: “Motivic Γ-functions” (colloquium style lecture). Location: Brown 316. Thursday, November 15 at 4pm, “Relative Completions,” Location: Goldsmith 317. Refreshments will be served 15 minutes before each talk. There will be a reception in Abelson 333 following Tuesday’s talk. The Eisenbud Lectures are the result of a generous donation by Leonard and Ruth-Jean Eisenbud intended for a yearly set of lectures by an eminent physicist or mathematician working close to the interface of the two subjects. The Brandeis IGERT program in “Geometry and Dynamics” is holding its Summer Institute from June 25-28. This is a series of lectures aimed at graduate students on the mathematical & theoretical side of the sciences, on a broad spectrum of topics — of course, postdocs, faculty, and sufficiently advanced undergraduates should enjoy these as well. Once again we have an excellent list of speakers from inside and outside of Brandeis, on subjects including quantum computing, blockchain technology, origami, and the carbon cycle and mass extinction. A full schedule is available. All are welcome and coffee and lunch will be provided: please RSVP here or by selecting the button at the bottom of the schedule page, so that we have an accurate headcount. 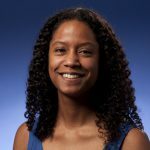 On Wednesday, May 30, at 9:00 pm, Marcelle Soares-Santos, Assistant Professor of Physics at Brandeis will be a part of the premier of the PBS’ program “NOVA Wonders What is the Universe Made of?” This program provides an introduction to dark matter and dark energy. Researchers admit that, aside from being able to deduce the presence of these phenomena, they have little idea of how each works. “We have no idea what is the physics underlying it,” Marcelle says in the film, referring to dark energy. In the program, the filmmakers travel to the Cerro Tololo Inter-American Observatory in Chile just as scientists are detecting gravitational waves. Soares-Santos participated in this discovery.